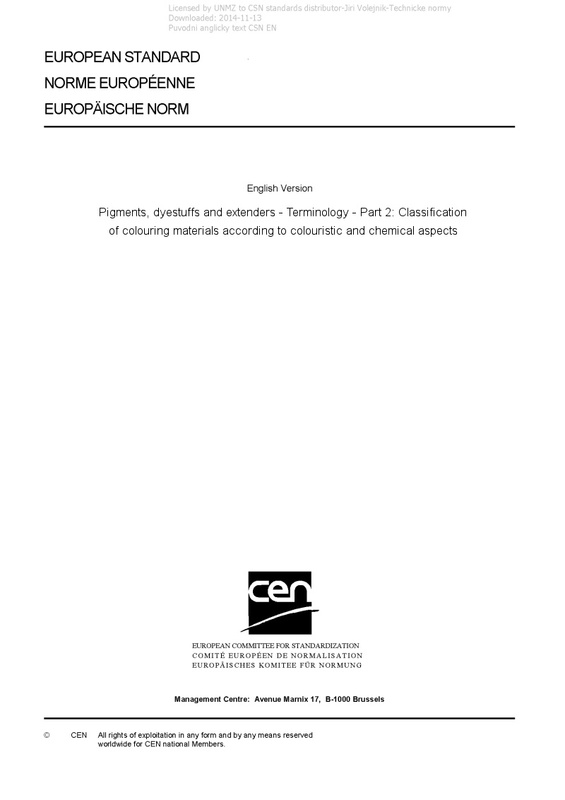 EN ISO 18451-2 Pigments, dyestuffs and extenders - Terminology - Part 2: Classification of colouring materials according to colouristic and chemical aspects - This document applies to the industry producing colouring materials and the consumer who uses the products of this industry. In this document, the colouring materials are classified in accordance with colouristic and chemical aspects. Some dyestuffs for use in the ceramics and food industries are listed as examples.